Can you die of a broken heart? Science says yes. 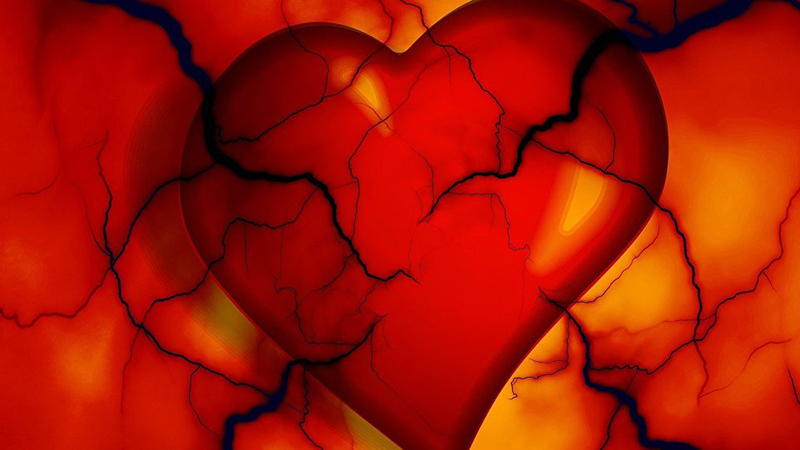 In fact, researchers from the University of Aberdeen have shown that a broken heart can lead to the same type of long-term damage as a heart attack. Around 3,000 people each year in the UK suffer from takotsubo syndrome, more commonly known as “broken heart syndrome,” and which can be brought on by mental stress. The syndrome causes the heart muscle to weaken, which in turn prevents the heart from pumping blood properly during each heartbeat. The condition was first recognized in Japan in the 1990s. The term “takotsubo,” which means octopus pot, is meant to describe the disfigured shape of a broken heart. Doctors previously believed that patients suffering from a broken heart could make a full recovery quickly without treatment. However, researchers are learning that that may not actually be the case. The university researchers took cardiac MRI scans of 37 takotsubo patients for an average of two years.They found that those who had suffered from broken hearts still had weakened heart pumping activity long after experiencing heartbreak. In fact, the MRI scans were eerily similar to those who have had heart attacks, revealing fine scar tissue in the heart’s muscle. “It is becoming increasingly recognized that takotsubo is more common than we originally thought,” said lead researcher Dana Dawson, who helped present the findings at the American Heart Association’s Scientific Sessions in Anaheim, California, this week. “This is the longest follow-up study looking at the aftermath of takotsubo, and it clearly shows permanent ill effects on the hearts in some of those who suffer from it. These patients are unable to perform physical exercise as well and fatigue more easily,” she added. Dawson also underscored the necessity of taking broken heart syndrome seriously. “Our research shows that takotsubo needs to be treated with same urgency as any other heart problem, and that patients may need ongoing treatment for these long term effects. Our next goal will be to identify suitable treatments,” she added. One of the biggest hurdles will be finding treatment for a condition that has long been thought not to require it, and to help shift the mentality of both doctors and patients about the potentially grave consequences of this very real disease.